Looks, Feels, and Shows like a model home! Immaculately maintained and cared for. This home shows like a new-build home without the new-build price, â¦.and no need to spend an additional $60k+ on landscaping either. It's all been done! 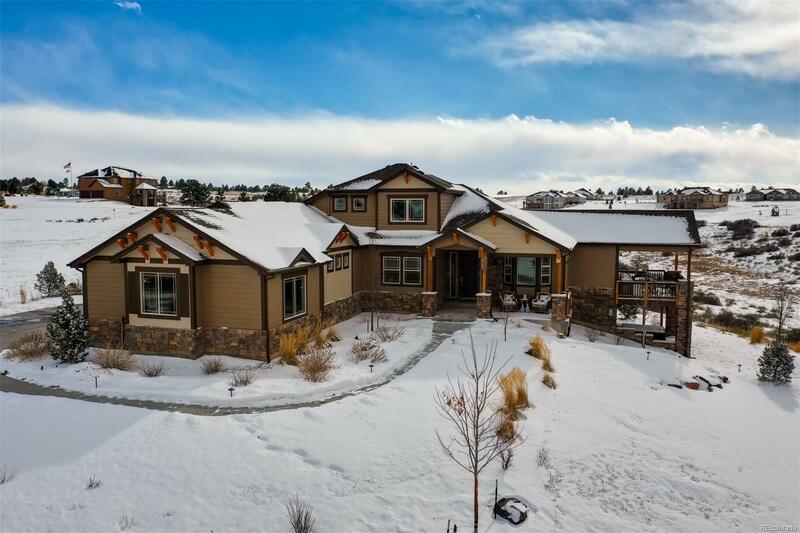 Enjoy panoramic mountain views from the spacious kitchen with granite slab countertops and decorative backsplash, stainless steel appliances, and a huge center island with bar seating for 4. Beautiful upgrades throughout this 4 bed 4 bath home including a wonderful main floor master! An additional master quest suite on the secluded second floor adds even more to this well appointed home. Just kick back and enjoy life in the prestigious Tallman Gulch subdivision on 1.5 acres! Entertain on the large covered deck while enjoying the breathtaking panoramic mountain views. You can even put up an outbuilding for extra cars, toys, workshop or she-shed!